Since 2003 The Economic Club of Canada has earned a prestigious reputation as this country's podium of record. Uniquely positioned as the only national non-partisan organization capable of staging events across the country, our mission is to bring our members and guests face-to-face with the most important, relevant and influential leaders of our time. The Economic Club has grown in stature and reputation as the most respected and influential platform of its kind. 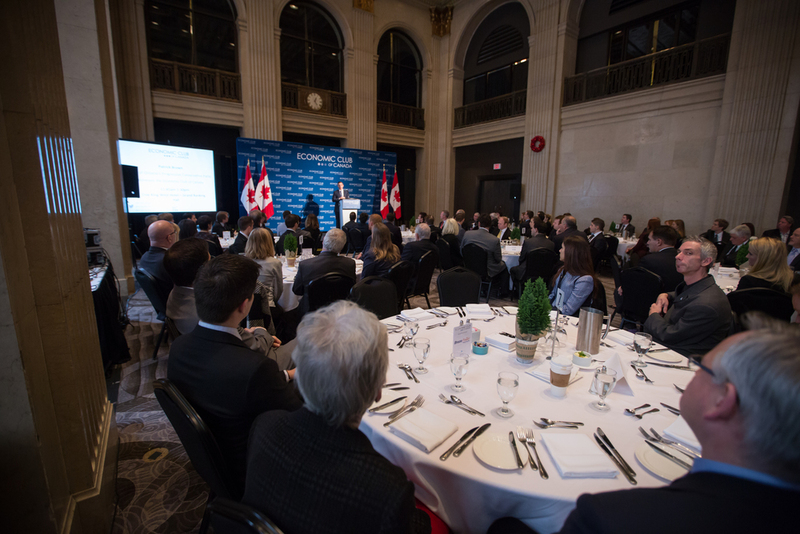 Each year, more than 100 key policy makers and business leaders seek out The Economic Club of Canada to make major keynote addresses. In past years, our guests have included such high-profile figures as Senator John McCain; Prime Minister Stephen Harper; Victor Yushchenko, President of Ukraine; Arnold Schwarzenegger, Governor of California; the Premiers of Ontario, New Brunswick, Newfoundland and Labrador, Nova Scotia, Prince Edward Island and Manitoba; a number of Federal and Provincial Cabinet Ministers, including the Minister of Finance for a post-Budget address; and many others. The coming months will see us continue to host sessions featuring many of Canada’s – and the world’s – leading newsmakers. Our audience members are drawn from the most senior levels of Canadian business, industry and government. Our sessions provide accessibility to our speakers and the opportunity to pose questions, direct and unfiltered. Membership is open to all who share a passion for the great issues of the day. We're always looking for volunteers to help out at our events! For more information click here.